We’re now about two thirds along the length of the building, still moving eastwards. 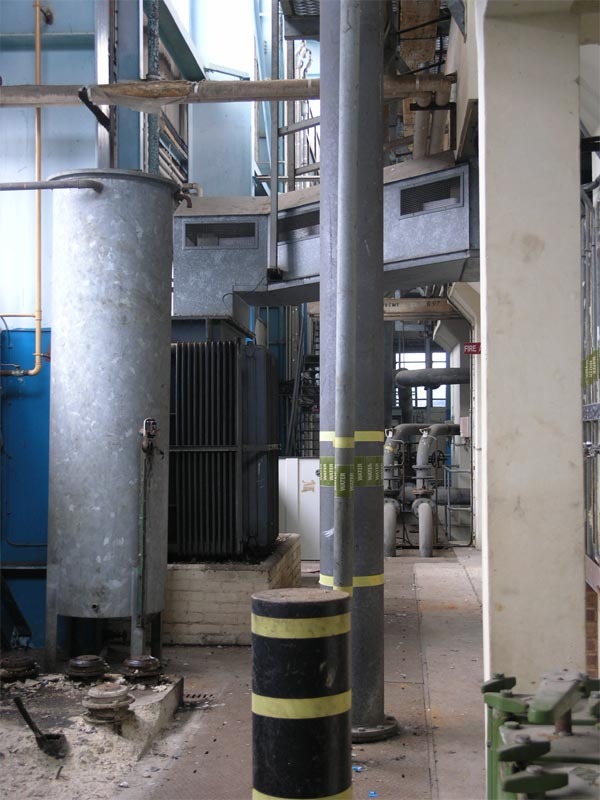 The stairs which lead up to the control room can just been seen, hiding behind all the clutter of the pipes and ducting. Moving eastwards by the northern wall of Number 10 Exhauster.